Getting an early ultrasound to figure out when your child will be born has become part and parcel of becoming a new mom in countries like the U.S. For many women living in countries with poor-quality healthcare, however, ultrasounds are rarely available or too costly to afford. But a new study published by Science on Thursday suggests there might someday be an easier, cheaper way to pin down the due date: a blood test. Researchers at Stanford Medicine and elsewhere recruited 31 pregnant women from Denmark to take part in their study. Every week of their pregnancy, the women donated a blood sample. They used the women’s blood to study bits of cell-free RNA—the messenger molecules responsible for translating our DNA’s instructions to cells so they produce the right protein—taken from genes belonging to the mother, fetus, and placenta. As a woman’s pregnancy progressed, they noticed, the levels of RNA from certain genes found in the blood changed, too. They then used blood samples from 21 women to roughly work out a model that predicted how pregnant a woman was, based on nine cell-free RNA genes sourced from the placenta. In the remaining 10 women used to test the model, they were able to predict the gestational age of the fetus with 45 percent accuracy, meaning they were within 14 days of the actual due date (all 31 women had normal deliveries after 37 weeks). That might not sound very precise, but ultrasound readings in the first trimester only have an average accuracy of 48 percent, according to the researchers. And relying on ultrasound to predict a due date also requires the mother knowing when her last menstrual period was, which the blood test doesn’t require. The test, if further refined, could also tell us a lot more about the growing fetus later on in the pregnancy, unlike ultrasounds, which become less accurate in the second and third trimesters. In a second experiment, Ngo and her team tweaked the test to predict a women’s risk of premature delivery. They used samples from two earlier studies of American women already at high risk (38 women in total) to work out a different model based on seven cell-free RNA genes, sourced from the mother and placenta. They were able to correctly guess whether a woman would have a premature delivery with 75 to 80 percent accuracy across the two sets of samples. The test also had a miss rate of 4 to 17 percent among full-term births across all three samples, meaning they wrongly classified someone as delivering early when they actually had a normal birth. The overall results are encouraging, but the authors are careful to point out it’s only meant to be a pilot study. 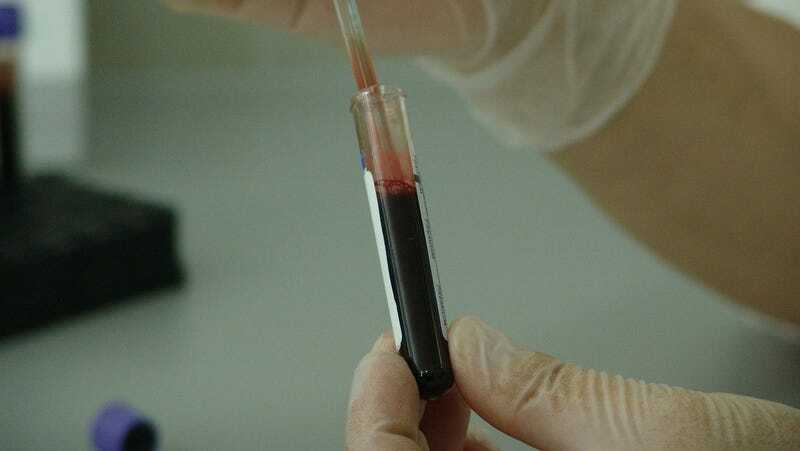 “It will be important to investigate the performance of the blood test in a broader, unselected population,” the authors wrote.